So those who know me will know that I like my tech, especially that which has a shiny apple on the back of it, which meant I was interested to read this week about Apple’s latest purchase. If you hadn’t already heard, Apple are currently in the process of buying Beats, the headphone brand that Dr Dre is co-founder of for $3.2bn. Generally speaking, this didn’t really surprise me, but deep down I kind of wish it had shocked me more… Let me explain. Beats are a brand that can really split opinion (like Apple) and this opinion massively depends on who you ask. Ask most people on the morning commute and I imagine that most of them will like, or possibly own Beats, but ask any audio geek or tech fan and 9 times out of 10 they will probably have the opposite opinion. The brand is one that is very desirable and aesthetic based which, although is not a bad thing, can mean that you pay extra for the letter ‘b’ on each ear ‘can’. If this is compared to a brand like Bose for example, whose business strap line is ‘Better sound through research’, vast differences can easily be seen. Bose (or Sennheiser for example) are both tech companies, based to create products with cutting edge tech that sounds great, whereas Beats do that with more of an emphasis on image (this is starting to remind me about the whole Apple vs Microsoft debate!). Headphones naturally are a more desirable accessory to own (as written about by a blog from Trevor Cox when comparing public perceptions for headphones vs loudspeakers), so I guess part of this comparison between companies could be to do with the background of the company. One major conflict of agreement will come when the quality of audio produced by Beats headphones is mentioned, some love it, some say it is awful. For me, I would prefer a pair of headphones by a tech company, but I can see that Beats do make some good sound. The main advantage to Beats audio quality is that there is bass and lots of it. The target market for these is primarily younger who listen to bassier music, which makes sense. Bass tones have the effect of making the user feel like that the sound is more immersive. This is to do with the wavelengths of bass sounds being bigger, hence it physically surrounding the listener more meaning they can feel the sound, not only through their ears. However, bass is not the be all and end all of audio quality; there are many more things to look out for in a good set of headphones (Comfort, Clarity, Sound Isolation, Frequency range, Price/Value for money…). So if the quality is not so good, why do people buy them? To be honest, most people may not be able to notice the difference, or may not really care. One of my course mates wrote an interesting blog this week on whether we really care about the quality of our music, or whether we just go for convenience which I would recommend if you get a chance. One other main factor is again about appearance, if you’re going to spend £100-200 on some headphones, you want them to be noticed! To me, Apple is a company of quality, yes with a big emphasis on image, but mainly focused on quality (more generally speaking and not when it came to audio!). 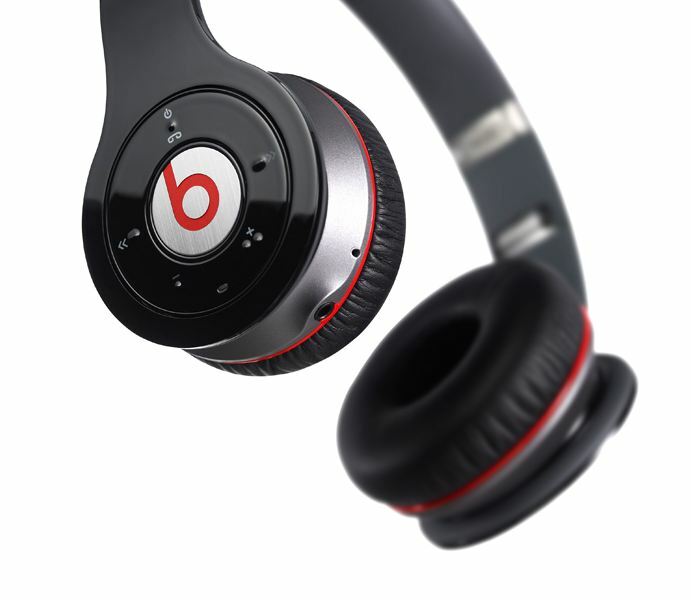 Hence, when I saw they were buying Beats, I was kind of disappointed that they had opted for image over top end quality. Saying this though I can’t imagine them ever having bought a company like Bose or Sennheiser. When it come to brands (particularly those that make tech) people really buy into products, which is a factor that makes a huge difference (e.g. opinions of peers etc). Because of this I can imagine plenty of you will have different opinions to me! I would love to hear these if you want to comment below, alternatively click below which of the two options you’d choose! This entry was posted in Audio, In the News and tagged Apple, Audio, Beats, Beats by Dre Dre, ben southgate, Bose, Consumer, Headphones, Loudspeakers, Quality, Sennheiser, Technology by Ben Southgate. Bookmark the permalink. Always Sennheiser for me, even Bose have too much bass for my liking! Yeah, something I’ve come to realise is that headphones are something very personal and individual that everyone likes different ones based on music taste along with other factors. I have a pair of Bose (surprise surprise!) that I love, but I have such a wide range of music taste which makes it hard to choose! To me, Beats just seen a bit overpriced and overproduced for what you get. Beats are good for Dance and Progressive House music because of the bass in them and I listen to these genres quite often. (Alright, I know that people are going to judge me now because I said that Beats are good). I own a pair of Sony XB500, which does a pretty good job and it’s affordable, although the ear cans are a bit large. If the price was not an issue, I would go for Beats Studio or Pro. Thanks, I understand where you are coming from and I think if I listened to mainly heavy bass music and wasn’t fussed about the audio quality too much they i may consider Beats. However, like I said, I think too much money goes into a design which I’m not bothered by. If money were no object there would be many audio products I would like to purchase, but unfortunately that’s not reality! I’m happy with my Beats, to me they have Design & Performance. I still believe there really is not much difference in quality when you reach a certain level & beats are up there. Good headphones, even better marketing!